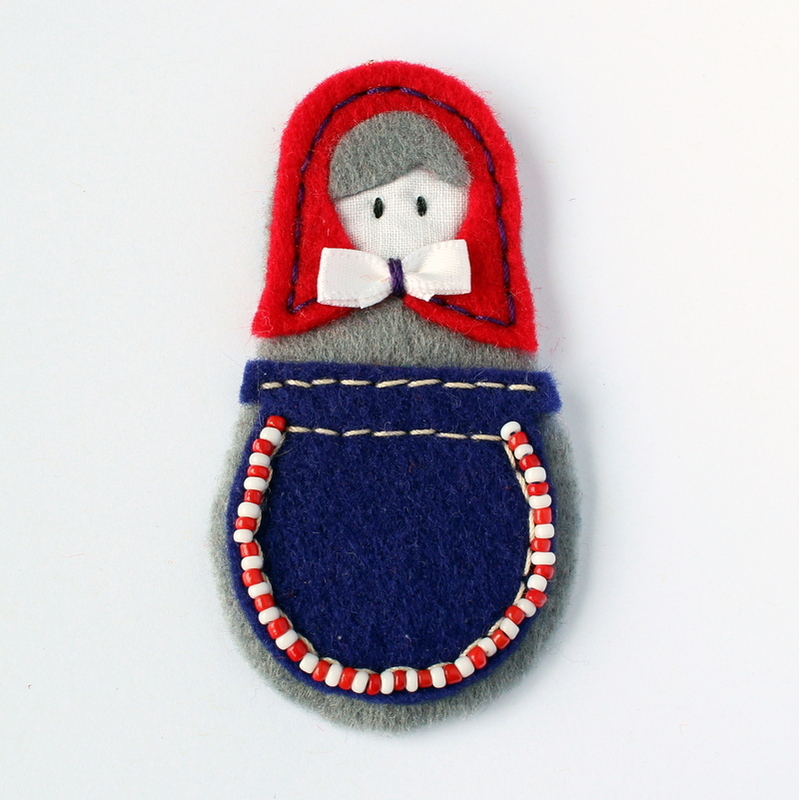 Cute and funky matrioshka brooches. 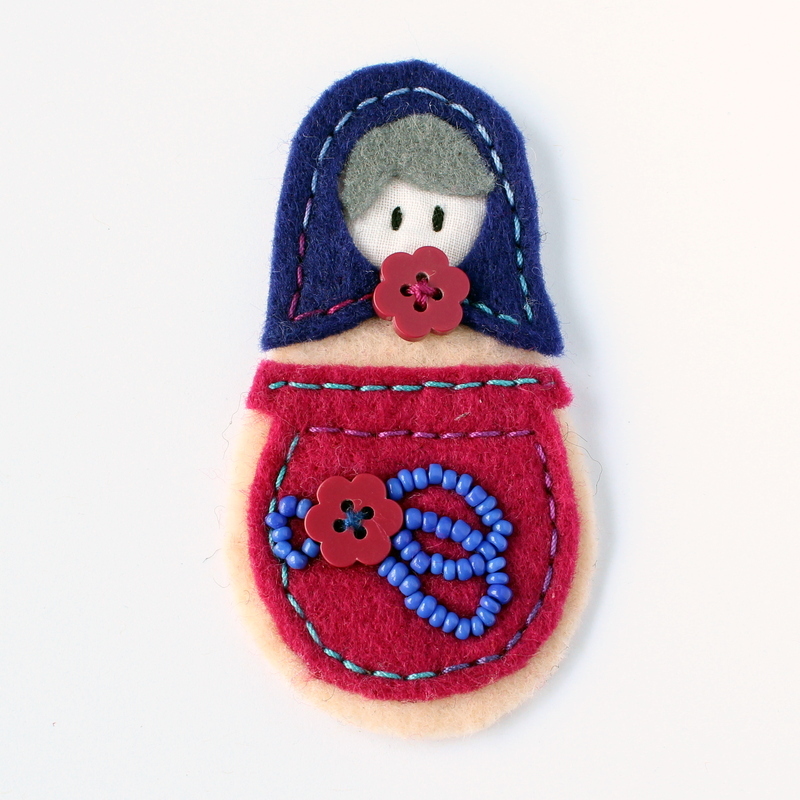 Made of colourful felt pieces, decorated with beads and embroidery. 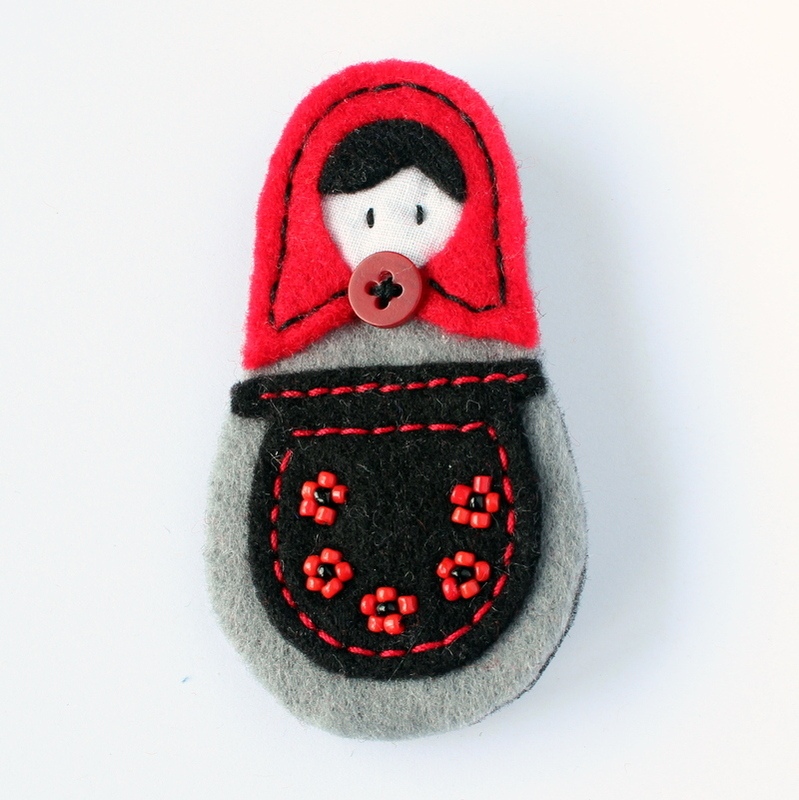 Will brighten up any coat or cardigan.